"Let's say we have a candidate who is really trying to appeal to women voters and a specific message for women voters, we don't want men to see that, it's a waste of their time," says Kinney. ROCKLAND (NEWS CENTER Maine)-- Mainers are being bombarded by campaign messages, and that will only intensify in the final days before the election. Those with televisions have seen a barrage of ads, especially the tough attack ads in the Second District Congressional race and, more recently, in the contest for Governor. At the same time, mailboxes fill up with pro and anti-candidate pieces, while radio stations often are filled with ads for Legislative candidates who can’t find space on TV. But there is another media campaign being waged online. It includes some attack ads but also many messages supporting candidates. Use of social media for campaigns has been growing the past two elections, and experts say that online advertising is bigger than ever this year. “One of the things about social media is there is a lot of information about what you’re interested in,” says Shannon Kinney, founder of the marketing firm Dream Local Digital in Rockland. 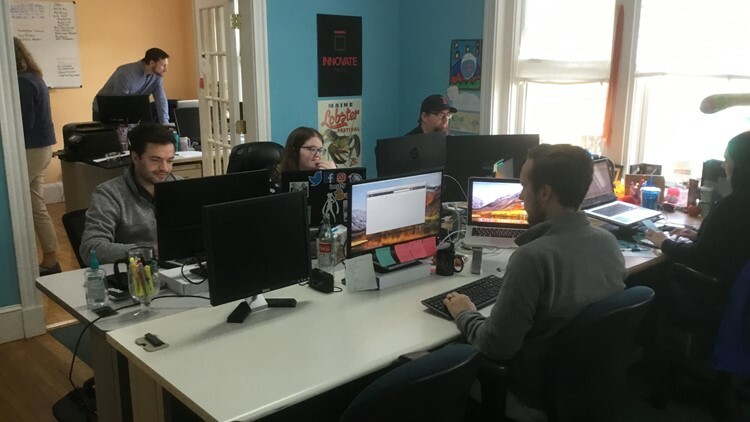 The company primarily serves business clients but is also involved with multiple campaigns in Maine and around the country. Kinney says online advertising can be much more precise and targeted than broadest ads so it can appeal to particular groups of people. How that happens is based largely on what those people do while on Facebook, Instagram and Twitter, says Dale Landrith, Dream Local’s chief strategist. They’re sharing data every minute about what they like. Any time they click on something, every time they hit the like button, every time they’re commenting, they’re feeding that database with what they’re interested in. That data, Kinney says, gets used by Facebook and Dream Local to identify what issues people care about, what candidate positions they might support and ultimately, what advertising messages will appeal to them. If that information gets cross-referenced with a list of registered voters in a candidate’s area, it allows very precise targeting of a message. “Let’s say we have a candidate who is really trying to appeal to women voters and a specific message for women voters, we don’t want men to see that, it’s a waste of their time,” says Kinney. Online political ads and “fake news” items came under the microscope after the 2016 elections, and Landrith says for companies like theirs, putting material on Facebook has become more difficult. Kinney says TV ads still account for the lion’s share of the budget for larger campaigns and expects that won’t change in the near future. For smaller campaigns, such as state legislature and local races, she says digital has already become significant. And even for major campaigns, she says it allows the candidate to tailor multiple messages to multiple groups, using social media sharing to build a network of support.